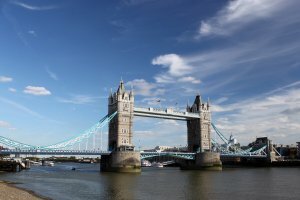 Are you wanting to sell your bike in England? You’ve come to the right place! WeBuyAnyBike is the biggest motorcycle buyer and bike trader in the UK, meaning we can offer you the best price for your motorbike and best customer service. 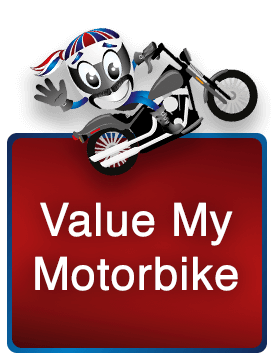 We buy any motorbike in England, giving you an instant online motorcycle valuation and will collect the bike for free. We make sure the money is in your bank account before we drive away, or the counted out (as also we pay cash in hand for motorbikes!). With over sixteen years experience in the industry, we offer a professional service to all our customers regardless of your bikes age, condition or value! Manchester Bike Show is one of the leading motorcycle events in England, if you are interested in bikes this show offers everything. With over 100 exhibitions attending from all the top manufacturers as well as smaller, bargain stands. Here you can check out all the new bikes and shop for helmets, leathers, gloves, bike accessories! Another huge motorbike event in England is, Motorcycle Live at the NEC. This is one of our favourites! It really packs in some live action, holding shows, stunts and competitions throughout the days. Motorcycle Live also always has a few famous faces there such as racers or perhaps big adventures. Top manufactures exhibiting this year, 2016: Aprilia, Ariel,BMW, CCM, Ducati, Harley Davidson, Honda, Husqvarna, Indian Motorcycles, Kawasaki, KTM, Mash, Moto Guzzi, Suzuki, Triumph.. and the list goes on! All are throughout their sports and performance, custom, adventure and classic zones. This show has been running for 37 years and has a massive following, this year’s how attracted 45,000 visitors. A well known and trusted website is Bike-Stay, this is a worldwide site that lists different countries and counties in extreme detail. They make sure to list accommodations that give bikers what they need after a long days ride, such as bike cleaning, parking facilities and food options! The BIKER GUIDE website is similar to the online magazine but more interactive. You can search the website for anything you want, such as accommodation, bike cafes, biker pubs, routes and more! The best thing is you can search by location, which is helpful when you’re planning to ride somewhere. BIKERS ARE WELCOME again listed some amazing information, it’s an easy to use website and gives more than accommodation details. As well as telling you where you could stay, they give you route, things to do in the area, places to service your bike, events and more. Have a scroll on the website and see what you can find! 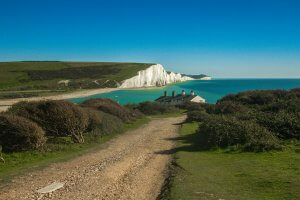 This website lists biker friendly Bed and Breakfast, Self-catering & Camping site accommodation, in England, Scotland, Wales, Ireland, France, Spain, Germany, Italy, Portugal, Netherlands the rest of Europe, USA, Canada, Australia and New Zealand! They provide information on just about everything for the motorcyclist; it’s a one-stop shop for bikers in the UK. We Buy Any Bike are the biggest bike buyers and bike trader in all of the UK, we have a fleet of vans collecting every day of the week. If you are wondering where to get a motorcycle valuation, we can help! It takes less than a minute to get a quote from us, all you need to do is enter your registration and if you’re happy with the quote we can pick up in 24 hours. We Buy Any Bike offer great prices for used motorbikes and we are keen to help you out if you are trying to sell your bike!